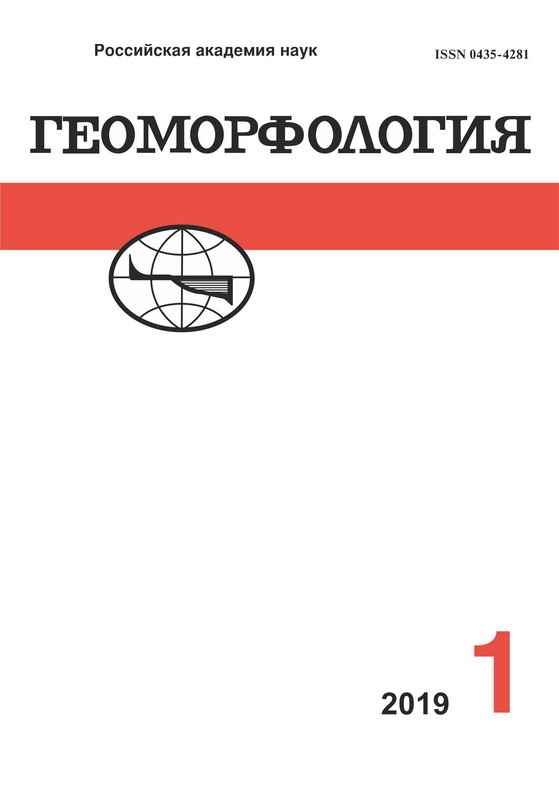 Geomorfologiya (Geomorphology RAS) is the only scientific journal in Russia concerned with studies of the Earth’s relief and relief-forming processes. It has been published for 45 years (since 1970). Its issues appear regularly 4 times a year and contain papers on various topics, such as studies of terrestrial, coastal and submarine landforms, geomorphological processes, ecological and applied geomorphology, and newly developed methods of research, as well as notes on history of the science and book reviews. Aricles concerning neotectonics and paleogeography are accepted only if issues, considered there, are in close relationship with geomorphology. Journal also publishes reviews to the new scientific works concerning issues listed above, and chronical-informational reports about scientific meetings, conferences and summits took place. In 2015 the journal will be 45 years old, which may be considered “the age of maturity”. During those years 180 issues came off the press; they contained more than 2700 papers written by about 1500 authors, including researches from academic institutions, teachers and professors from institutions of higher education, as well as specialists from various scientific and industrial organizations. Among the authors, there are both famous scientists and beginners making the first attempt at publishing their results. The portfolio in the office is never empty. Anokhin V.M., Dudakova D.S., Dudakov M.O. Sidorchuk A.Y., Panin A.V., Borisova O.K. Karavaev V.A., Opekunova M.Y., Solodyankina S.V., Znamenskaya T.I., Vanteeva Y.V.